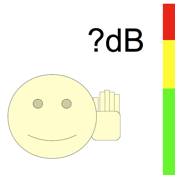 HearMeter is a simple Sound Level Meter (in dBSPL). It supports three modes of averaging times that are Fast(125ms), Medium(500ms), and Slow(1s). The application is pre-calibrated, but user adjustment can also be made.